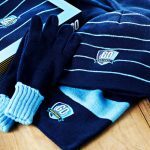 Ensure your customers and employees are doubly warm this winter with this Double Layer Striped Winter Set. This set of winter warmers consists of a scarf, hat and gloves. With branding to all three accessories, it will help to increase your brand exposure while the recipient is out and about. With double warmth and triple brand exposure this set certainly adds up to some cost-effective marketing! Get your brand ahead with this cosy Chunky Knit Bobble Beanie! Customers and employees can keep their head toasty warm on their cold commute to the office or going about their day to day. 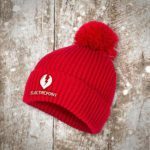 The bobble beanie is also on trend for 2018, so you can ensure your customers and employees are on point with their winter accessories! 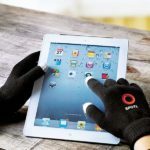 Smartphone Gloves are ideal for those who are always on the go and need to keep in touch and interact with their colleagues or for customers. Your brand and gloves will provide the tools for those that can't be without their device, while helping them to keep warm. The recipient will also become the envy of tech lovers everywhere! Ice by name, warm by nature! Windproof and waterproof, the ice-bird padded jacket will help to keep the wearer to stay warm and dry, while stylishly showing off your brand. Available in four colours. Aptly named the Core Tx Performance Softshell Jacket, this item will become a core part of any winter wardrobe. The jacket has an inner micro fleece for extra warmth and is available in four colours. 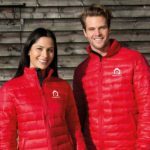 Embroidered with your logo, you can ensure your brand will stand out and deliver a top performance. 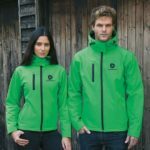 If you would like to discuss how outdoor wear and accessories can benefit your brand, or if you would like to find out more about what we can offer within our clothing range, then please do get it touch. You can call the team on 01623 636602 or contact us via email or LiveChat. Keep your audience (and brand awareness) warm this winter! Winter warmers will do an excellent job of keeping your customers or employees warm and cosy throughout the colder months. If your brand enjoys the benefits of branded clothing, then ensure it continues and doesn’t get lost under the layers! Winter clothing and accessories will ensure your brand stands out and will help to increase brand awareness.